Clear your cache. As you surf the Internet, your browser helps make things run more smoothly by saving a copy of website code and images to your hard drive so it can use them later. Those files are saved as a “cache” and then your browser doesn’t have to re-download all the code over and over again. The cache makes your Internet experience better, but they can bog down your machine if errors happen (which they inevitably do). Worse, PC Magazine argues that your browsing cache is a security risk. If hackers got access to your cookies, saved searches, and web history, they could learn a lot about you (including even your home address).Take a minute and clean out your cache (and while you’re at it, set a reminder to do it frequently). If you don’t know how, go to your browser’s Help menu and search for “delete cache” or “clear cache” to get directions. Or, PC Magazine also has instructions for how to clear the cache in the most popular browsers. Clean out your Facebook permissions. When you take those Facebook quizzes, the company that created it still has the ability to access your friends list (and maybe even your wall) after the fun is over… unless you clean out your permissions. Here’s a blog that tells you how. Tame your inbox. If you’re like most people, keeping up with email can be a challenge. How can you make it easier? Start by unsubscribing from promotional email lists you don’t want or need. If you’re feeling overwhelmed by that idea, there are services out there to help make it a snap such as unroll.me and OtherInbox you might want to check out. And, for more email management hints, tips, and how-to’s, check out this blog. Delete duplicate files. Why save two copies when you only need one? Clear some storage space by deleting files you may have accidentally saved twice. Techlicious recommends downloading a third-party app that can scan your folders for duplicates and then you can review them and delete if they really are extras. For a Macintosh, search for “duplicate cleaner” in the app store (Techlicious likes Duplicate Detective for $2.99). For Windows, they recommend Duplicate Cleaner (free) and DupeGuru (free). Sort and organize. Sure, it can take a little while, but taking the time to really implement a digital storage system is well worth it. Start by sorting file types—get all your photos into one place, pull all your documents into your documents folder (and take out the files that aren’t documents! ), and gather your music all together. Once you’ve got things grouped, you can really start to dig in. Just as if you were filing documents in real life, consider the content of your files and what major categories they fall into. For example, maybe you need to create folders for your personal correspondence, invoices, budget, and school. And within those you might want to have folders by year. 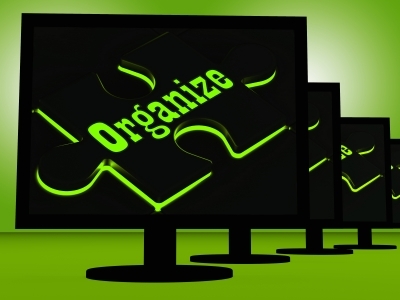 Whatever works for you, the goal is to create a system so you can find files even years later. There are tools available to help make the process a bit less intimidating. DropIt, for example, is an app that will help you set up rules to automatically process and organize your files so you don’t have to do it all manually. Backup. Now that your machine is clean, inside and out, back it up! This is a routine maintenance task that’s often overlooked, but it should be high on your priority list. Think about it this way: if your computer got zapped by lightening this second, what would you lose? If you just thought, “lots!” or even “everything!” you need to start backing up. Cloud storage services such as Google Drive or Dropbox are one way to go for smaller files and in some cases photos (Amazon Prime subscribers, we’re looking at you), but for a total computer solution you have pretty much two options: buying an external hard drive or subscribing to backup service. If you’ve got lots of media files, you’re going to want at least a 1 terabyte drive (probably more!). You can get one on Amazon for $100 or so. The key to doing your own backup is remembering to plug it in and use it. Set a reminder on your computer or your calendar so you’re sure not to forget.The second option is to subscribe to a backup service. 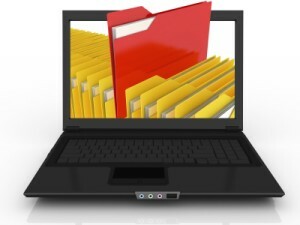 The benefit here is your files are automatically backed up without ever needing to think about it. TDS offers Backup Online does just that, and better yet, it does it for up to five computers in your house. And while we admit we’re going to plug our own service, it really would be remiss of us not to mention that the above steps are a high-level overview of what you can do to clean your computer. If you think your computer is beyond the basics and needs a deep cleaning, remember that we do offer Remote PC Support. As either a subscription or as a one-time service, you’ll get access to TDS Repair Advisors who tune up your computer right before your eyes. 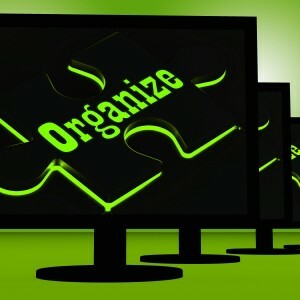 Organize image courtesy of FreeDigitalPhotos.net and Stuart Miles. Laptop and files courtesy of FreeDigitalPhotos.net and David Castillo Dominici.